The 2018 Jeep Wrangler JK isn't just designed for performance. It has your safety built into its design from the start. It includes anti-lock braking and side airbags to keep you out of harm's way, and the addition of smart technology enhances that protection with Electronic Stability Control. 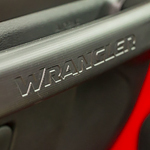 The 2018 Wranger JK's Electronic Stability Control assists you in difficult road or terrain conditions by monitoring traction on each wheel. When it detects conditions that could cause you to lose control of the vehicle, the ESC takes direct control of the brakes and engine speed to intervene in real time. At Ram Country Chrysler Dodge Jeep, we have a friendly sales team that's eager to help you with any questions you have. Stop by our location in Mineral Wells, TX for a test drive of the 2018 Wrangler JK, or call to arrange an appointment today.